Backed by over 50 years of experience, Lepage Millworks offers an exceptional range of fully customized, high-quality door products. Customers can count on the capability, flexibility, and meticulous standards of this Quebec-based company. Lepage Millworks supplies wood and wood-clad doors in mahogany, pine, fir, oak, or almost any available species of entry door, French door, and patio door styles. Their prestige collection also offers some signature looks, such as balcony doors, bi-fold doors, or lift and slide doors. Contact us to learn more about Lepage Millworks doors. Located just across the Canadian border in Northern Minnesota, Marvin Doors has cultivated a reputation as an industry leader in product innovation, energy efficiency, and customization options for over 100 years. This family owned and operated organization offers unmatched design flexibility and personalized service for all your door needs. Marvin manufactures made-to-order wood, wood-clad, and Ultrex® pultruded fibreglass doors in a range of styles. Their various lines of products are built to cater to the needs of any customers, providing the perfect fit for your home. Contact us to learn more about Marvin doors. 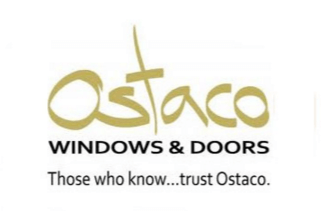 Based in Ontario, Ostaco prides itself as being a benchmark in the Canadian window & door industry, providing high-quality, innovative products, and exceptional customer service. All Ostaco doors are custom-made and manufactured to your personal specifications. Ostaco provides entry doors and patio doors in a number of different styles. Ostaco works with Therma-Tru and MasterGrain to deliver the most complete offering of fibreglass doors in the industry. Their products come with a range of glass, screen, and factory-finished options, as well as other possibilities for customization. Contact us to learn more about Ostaco doors. 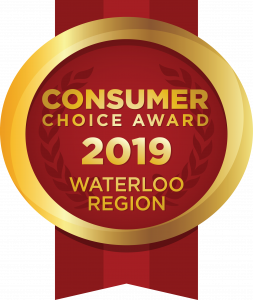 Euro Vinyl Windows and Doors Inc. is an Ontario-based manufacturer with the simple philosophy of building the best window and doors products they can. Their team is committed to excellence and prioritizing the needs of their customers. Euro Vinyl offers European style Rehaul sliding doors and tilt-turn doors, with various options and accessories to choose from. These doors are steel reinforced, energy efficient, and built from insulated glass to cut down on your heating and cooling costs. Contact us to learn more about Euro Vinyl doors. Based out of Toronto, KV Custom Windows and Doors believe that windows and doors is not just their job — it’s their calling. Their company offers designs that will complement the architectural feel of your home and your personal style, in a variety of designs, colours, and details. KV offers a number of quality steel entrance doors, garden doors, and patio doors, with design and customization options to create the perfect look for your home. Choose from their many glass designs to complement your door as well! Contact us to learn more about KV doors.